This month we’ve been photographing our shutters in a beautiful house in south London. 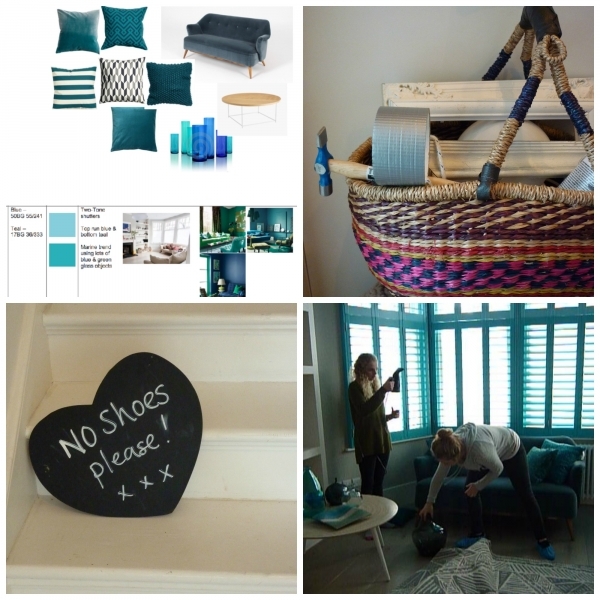 Expect to see the results in interiors magazines soon, but here on the blog we’ve got a sneak preview behind the scenes. The shoot required four of our expert installers to set up and dismantle numerous sets of shutters in all the rooms, plus a photographer, the photographer’s assistant, and at the centre of it all stylist Lucy Gough. Lucy was responsible for creating the gorgeous room-sets around each of the shutter colours we photographed, bringing van loads of furniture, cushions, vases and accessories with her to make each set-up look picture perfect. Shoots are busy and often chaotic, so we were delighted to get five minutes with Lucy to ask her more about how she put together the different looks, how she recommends styling up a room with strong colours, and her interiors tips for 2016. Here’s what she had to say. Which was your favourite set-up of the day and why? 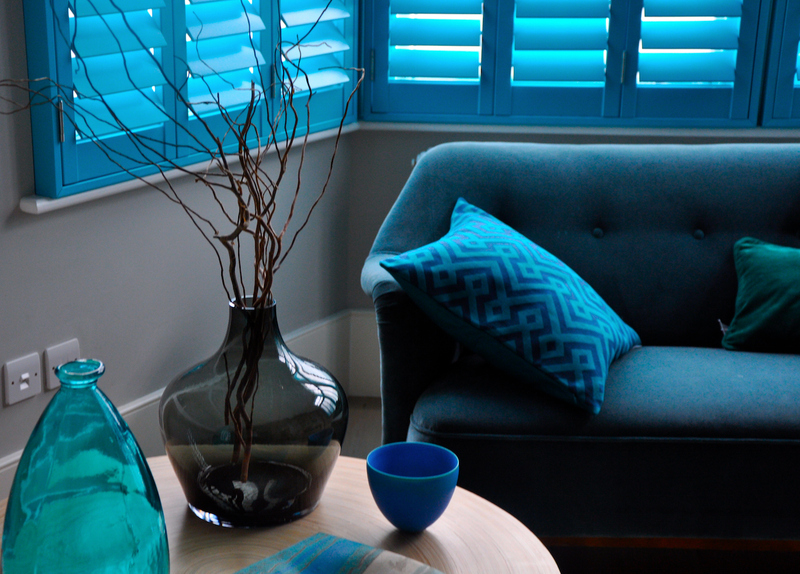 I loved shooting the sitting room scene with the turquoise and blue two-tone shutters. I love an image that is rich in colour and feels really moody and this one ticks all the boxes! 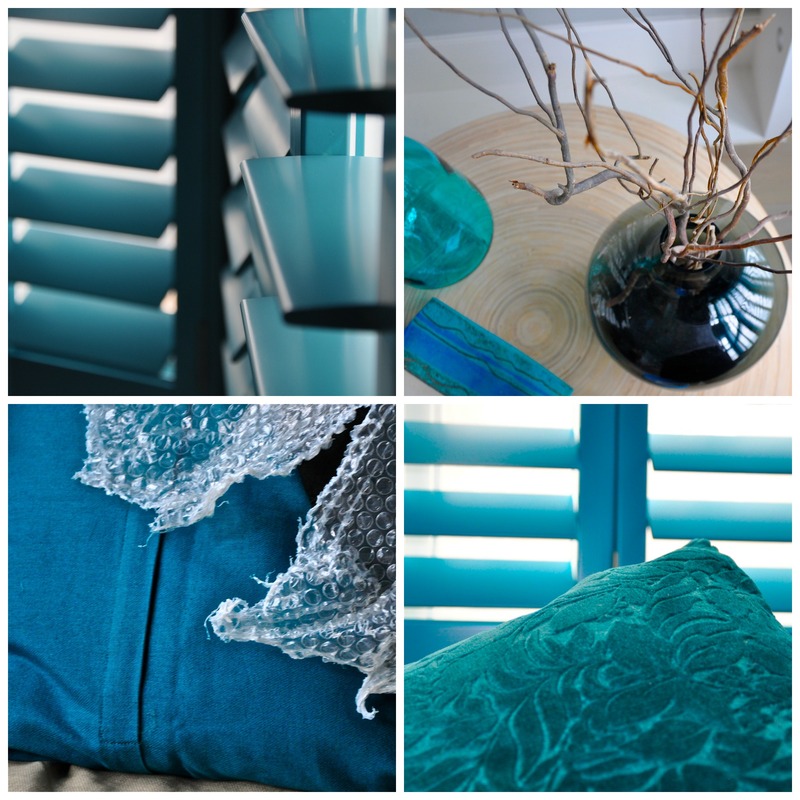 Lots of the scenes featured very colourful shutters – what would be your tip for styling up a strong colour at home? It’s all about balance when decorating a room. If you decide to use brightly coloured shutters I would pare back the rest of your accessories so they don’t fight with each other. However it’s always good to have accent colours in your room to tie in with the dominating colour in the shutters. Your room needs to feel cohesive. What’s your own home style like? My home is a rather eclectic mix of my favourite things. Each room has a different colour scheme, however they all tie in together. One room is navy and white, one is a heritage Georgian green and the others are shades of grey, black and white. Can you tell us what you think will be a big trend for 2016? I think we’ll see more metallics – especially as Dulux colour of the year for 2016 is Cherished Gold. Copper and brass are on trend too, especially when paired with pastel pinks and minty greens. We have to ask – what’s in your basket of secret stylist’s tools (above)? The things I can’t live without in my kit are scissors, all kinds of tape, portable steamer, picture hanging kit and Allen keys! If you’ve been inspired to try something colourful, you can check out our full range of colours here.